1. 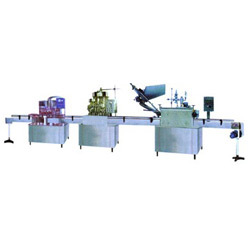 Model bottle blowing machine: (1) JDSXD-120. (2) JDSGD-24. (3) JDSFBZ-6. 2. Production capacity:(can/h) (1) 5000-9000. (2) 5000-8000. (3) 5000-9000. 3. Applicative can’ specs(mm): (1) High: ≥80 diameter≤90. (2) Φ50-80 H85-150. 4. Power(kw): (1) 2.8. (2) 1.5. (3) 1.5.